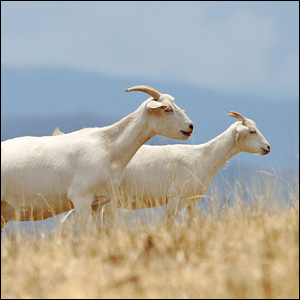 The Earliest Evidence Of Domesticated Goats Indicates They Were Originally From Modern Day? The Practice Of Denoting A Corrected Word With An Asterisk Comes From? Today, goats are found all over the world with a global population just shy of an estimated one billion members, where they are kept to produce milk, fibers (such as the fine wool of the cashmere goat), meat, and other products. Despite their ubiquity today, domesticated goats appear to have originated in the Middle East with the oldest evidence of domestication placing the first known instance of goat tending in Iran, roughly 10,000 years ago in Ganj Dareh, a neolithic settlement discovered in 1965 in the Zagros Mountains. Although there was plenty of evidence of goat domestication at the site of the neolithic village, curiously enough, the only evidence of agricultural development found so far is the presence of two-row barley. What’s interesting about the domestication of goats is that it was roughly parallel with the domestication of sheep. Those two instances of domestication were preceded only by that of dogs—dogs were domesticated at some point between 13,000 and 30,000 years ago. Image by Fir0002/Flagstaffotos under the GFDL v1.2.